From version 2.0 of the Responsive Design Builder, you can import new fonts into your email templates. How do you add a new font? You have to create a new campaign or new template and select Responsive Design Builder. 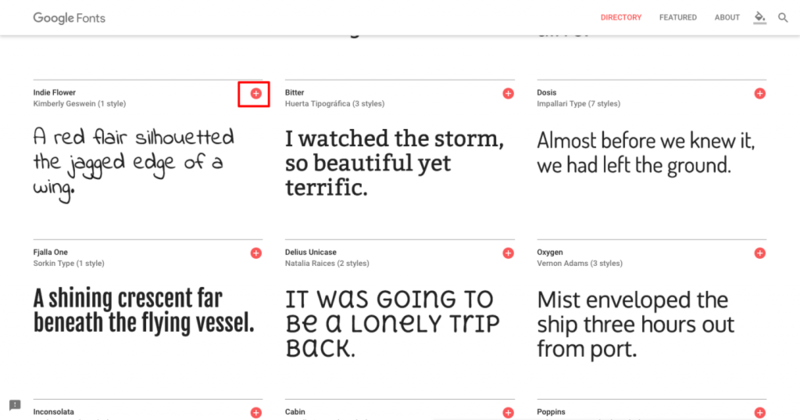 Then select the text whose font you want to change. 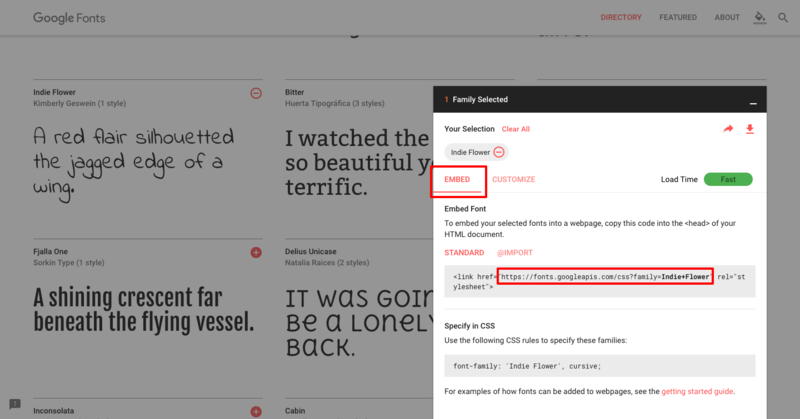 From the contextual menu on the right, select the font you want to apply by choosing the option "Add Font". Its URL: enter the URL for the font you have chosen. Click here to find out how to get the URL for your font. Its name: enter the name you want to give the font. 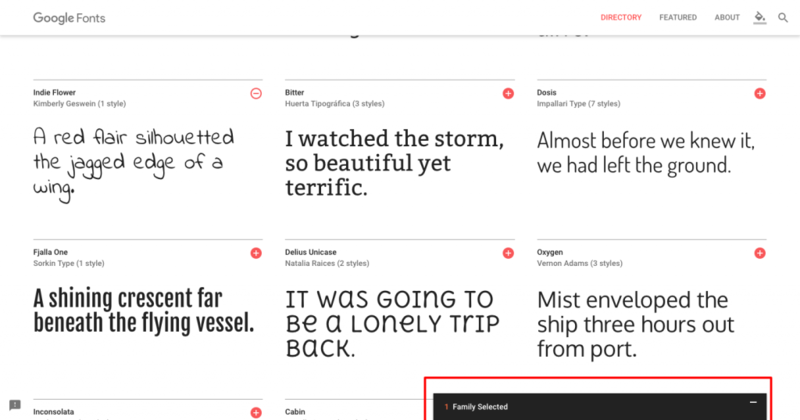 A fallback font: select the font to use if the first font is not supported by the email client. Note: you can only choose a classic font for the fallback font. Finally, click on "Add Font". The font will immediately be applied to your email template. 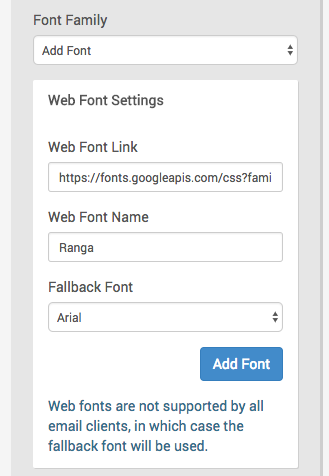 The fonts added to one of your templates will be available for all of your other templates/campaigns that are compatible with this feature in version 2.0 of the Responsive Design Builder (see: how do I find out my template version?). How do I get the font URL? Once you’ve done that, a banner will appear at the bottom of the page. Click on it. You will see a link displayed in the "Standard" section of the "Embed" tab. Copy and paste the URL from this link (only the part in quotes) into the Responsive Design Builder.